Mr. Smith is a native Augustan who graduated from Augusta State University in 1986 with Bachelors of Business Administration. 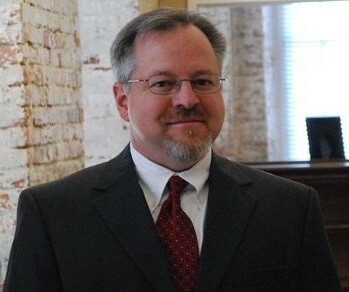 He subsequently earned a Masters of Business Administration from Georgia State University and graduated from the Walter F. Georgie School of Law at Mercer University in 1991. Mr. Smith has been in private practice in Augusta since 1992 and now handles workers’ compensation claims for injured workers exclusively. Mr. Smith undertakes a detailed initial interview with the client for a determination of all issues surrounding the claim. We request medical records from all the doctors and/or hospitals where treatment has been provided for the client’s injury. If the client is already receiving weekly income benefits, we request wage records from the employer to verify that the correct amount of benefits is being paid. If we determine the client is entitled to the initial payment of income benefits, or additional income benefits, we immediately request a hearing before the State Board of Workers’ Compensation.